SPECIAL OFFER – 50% OFF TICKETS! 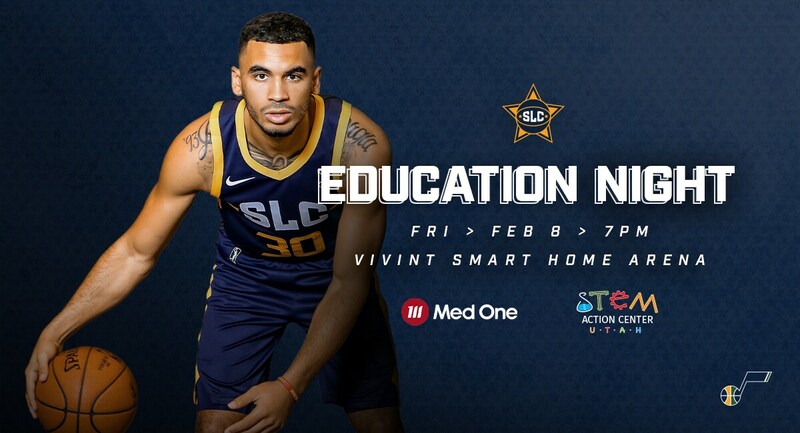 The Salt Lake City Stars will host kids of all ages for a fun night of STEM learning at their game presented by MedOne on Friday, Feb. 8, at Vivint Smart Home Arena when they take on the Warriors. Doors open at 6:00 p.m. with tipoff at 7:00 p.m.
Be sure to arrive early to check out all the fun interactive concourse exhibits for kids, focusing on how science, technology, engineering and math can relate to sports. We’ll also have face-painters and balloon artists, Buster the Bear and a special halftime performance. At the conclusion of the game, select Stars players will participate in a postgame autograph session and we’ll invite kids to shoot free throws on the Utah Jazz court. Reminder that parking is free at Park Place (across from the arena).